SS Rajamouli’s Baahubali 2 released on the 28th April has collectively garnered praise across the world and the latest accolade is from Romania. Apparently the audience had been clapping for every heroic moment of Amarendra Baahubali. Rajamouli took to his social media page to say, “Last night open air screening at Cluj, Romania for TIFF. 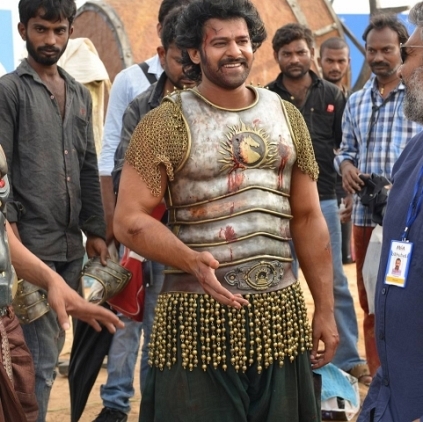 Felt nice to see a completely different audience clapping for every Amarendra Baahubali Heroic moment”. Finally the title, the first look and the release date are here! Such a cute title and FL poster for Shah Rukh Khan’s next film. Check out. SPI Cinemas opens their new theatre! Venkat Prabhu just made a breaking announcement about his next! Just in: Trisha Media bags the rights of Nayanthara's next! People looking for online information on Baahubali 2, Prabhas, S S Rajamouli will find this news story useful.